I’ve not worked on much this week. 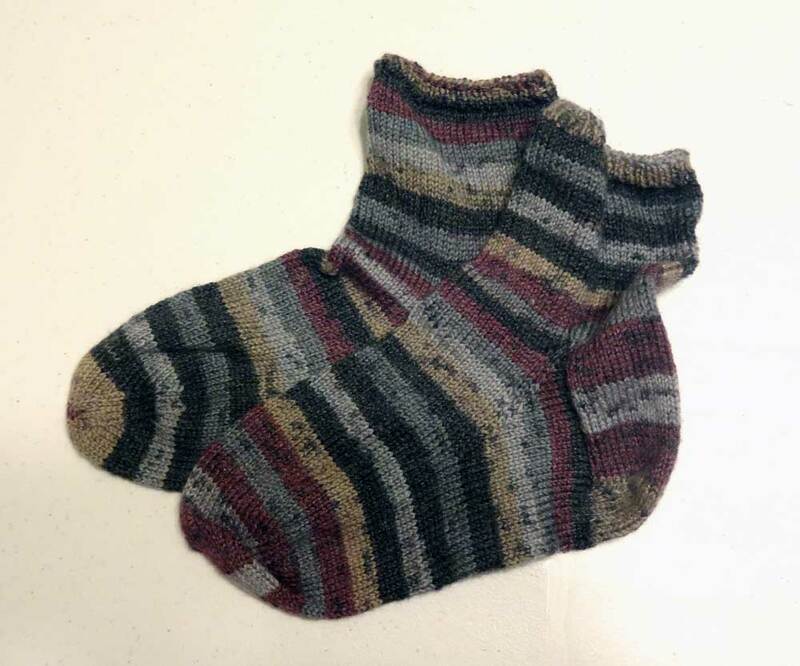 I’ve done some knitting, but it doesn’t look different enough to bother with another picture. I didn’t get a chance to do any sewing, but I did carve out some time to support patterns. In working on the sloper, I realized that much of my fabric was already claimed in my mind for a specific project. However, I didn’t always know exactly which pattern or even if there was enough fabric for what I wanted to do. So I started matching fabric and patterns. The yellow notes on there are notes to myself about notions or sizes or fitting. 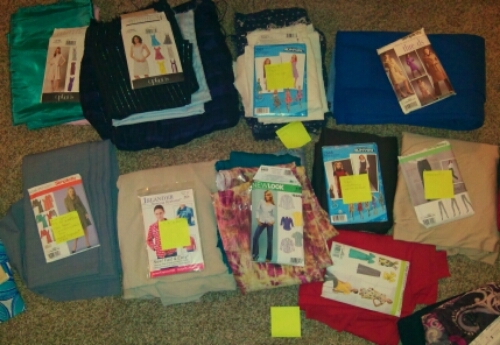 I started to count, but when I got to the ones that are waiting on me drafting a pattern, I quit. That was at 23 so I’m guessing around 30. My number one priority to make is work pants. I’ve got two fabrics, one a cotton and the other a blend with no stretch. 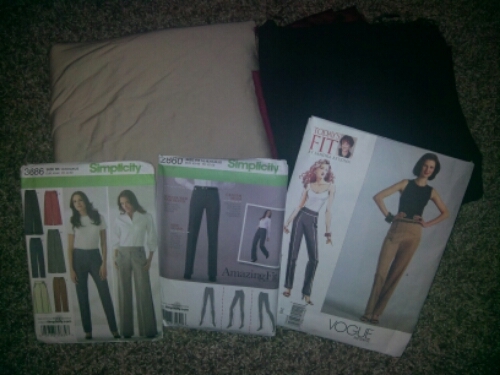 I’ve also got three pants patterns to choose from. 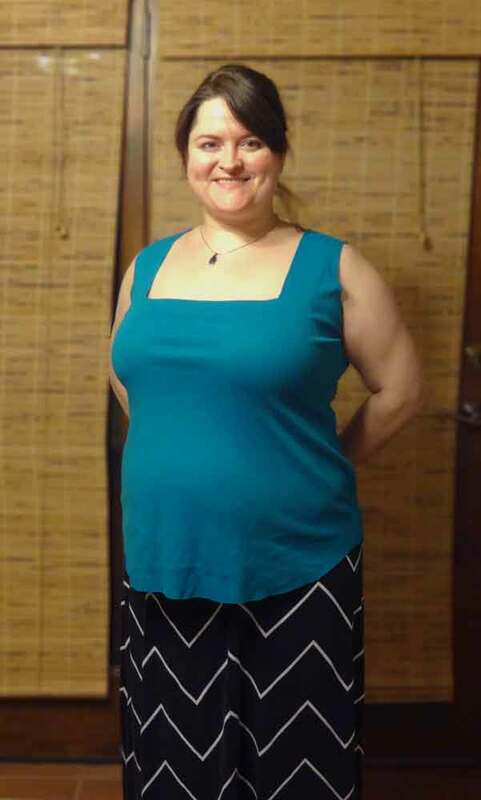 The Vogue pattern came with Sandra Betzina’s Craftsy class, Pant Construction Techniques. It’s my least favorite of the styles, however. My next one was already high on my list and then The Curvy Sewing Collective announced the wrap a long and this pattern was one of the recommended ones. Hopefully I can get my act together in time to do that. At first I was going to prioritize beyond just the first couple, but I think that will just distract me. Focus will be key for me to get these actually done! I think this is a great overview of how to focus on sewing for your style. There’s some tips in here I need to use. I’m sort of picky about any crochet I do. I think it’s easy for crochet to look clunky and homespun. On Craft Gossip there’s a review for a crochet book that I think it excellent. My favorite of the pictures shown are the socks! I’ve been working on turning my moulage into actual usable patterns. First, I’m trying to get basic slopers done. 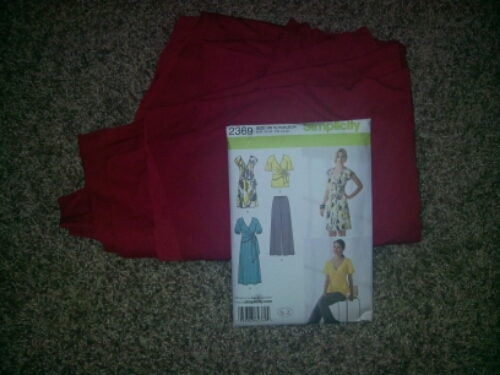 Here’s I’ve got my knit sloper pattern pieces. After tracing them off, I’ve just added the design lines right on there. I prefer to use tracing paper and a tracing wheel when I cut out patterns, so this keeps me from needing to trace off a new pattern for each different design element I want. Once I get the pattern fitting, I can have all my options on one sloper. The problem, of course, is that I’m really struggling with the fit on this. I’ve tweaked and tweaked and it still looks really sloppy.. 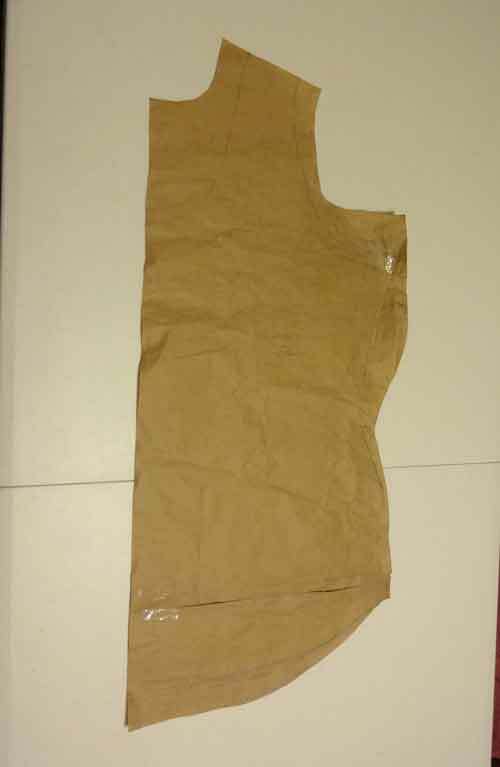 This sloper is just a basic t-shirt with a square neckline. Right now, it’s just basted together with no neck band or finished hems. I know for sure that the front needs a little more room in the bust, and the hem is weird shaped. 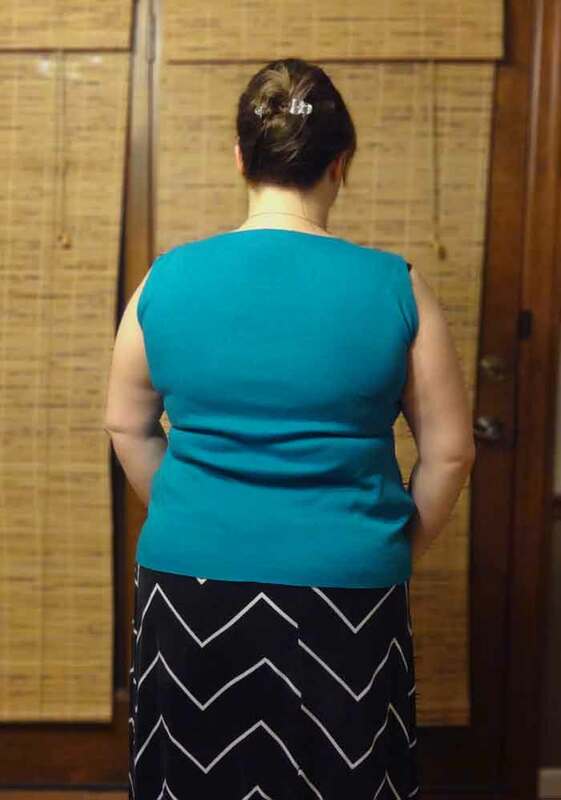 For the back, it almost looks like I need to raise up the shoulder more, even though I’ve already taken out 1 1/2″. 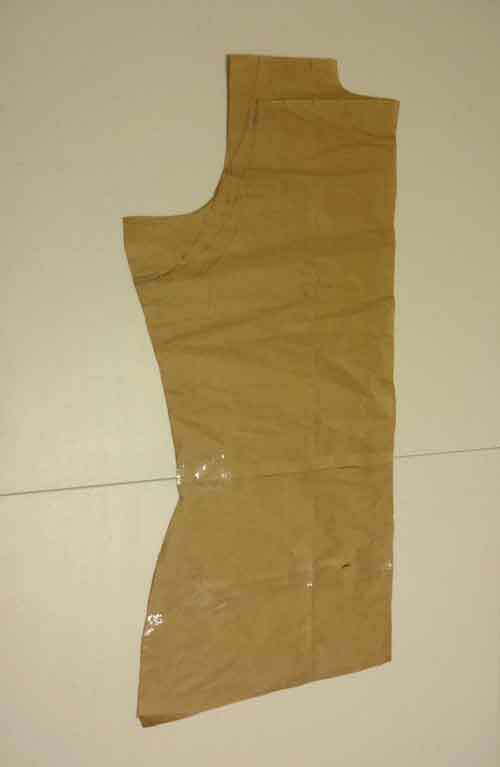 In addition the arm hole needs to be a little wider at the cross back. 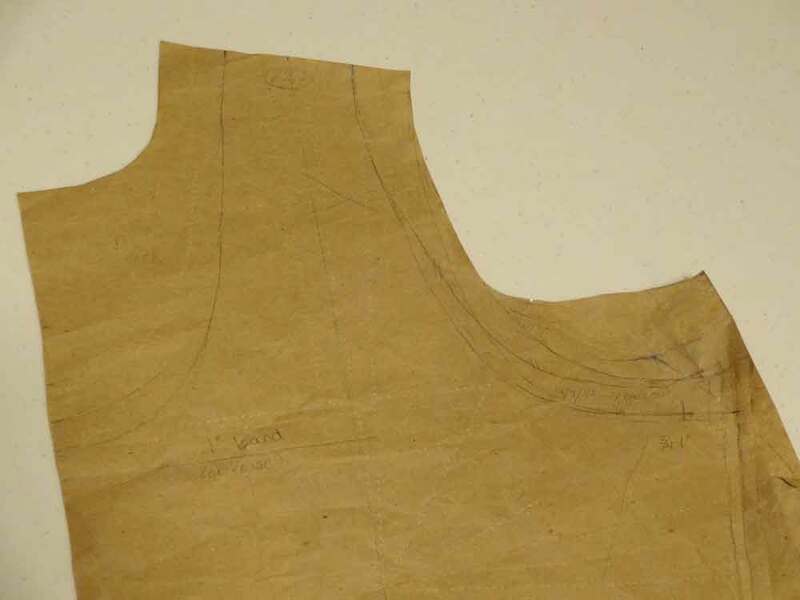 Collette is offering a hem guide, here. The post shows the basics of hemming and the guide is at the bottom of the post. Geta of Geta’s Quilting Studio found actual lace zippers. She also shows using lace + zippers from Amy Made That. I think this would adorable on an exposed zipper outfit! Fabric butterflies! LOVE! (Fabric origami butterfly tutorial here). This is a simple lace-y scarf pattern that was a free download from Interweave (sorry, not sure where that link is). I’m using a very special yarn for this one. During a business trip to Dallas, there was a yarn shop within walking distance of my hotel. I ate cheap, saved up per-diem money and bought a gorgeous, hand painted, deep purple wool skein. Since this was more of a memento than a true project, I just bought one skein. 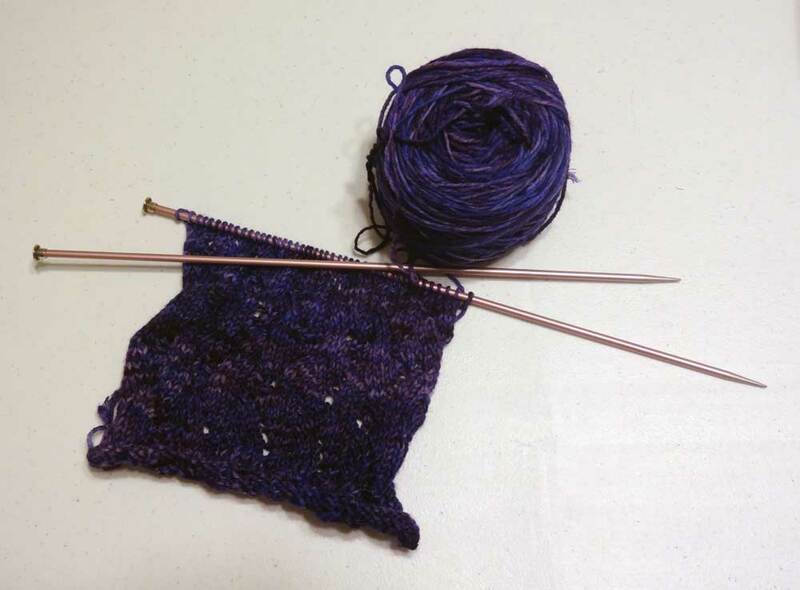 The pattern calls for 1.5 – 2 skeins, but it’s also expecting a smaller yarn size. I’m hoping that with the larger yarn and slightly larger needles, this scarf will still turn out a respectable size.